Yesterday the newly elected SNP First Minister, Alex Salmond, announced a new commission to look into Scottish broadcasting. He called for the Scottish Executive to be given powers, so to speak, over the Scottish broadcasting area, which is currently controlled by Westminister down in London. Apparently there has been some debate over this issue for quite a while now - even before the SNP were elected. 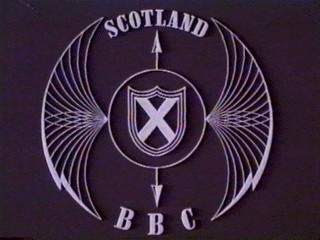 There has been a long-running request for BBC Scotland to have its own six o'clock news programme. Although we do currently have Scottish six o'clock news bulletin (usually at 6.30pm after the main news from London) it only reports on Scottish news and events - NOT world news as seen from a Scottish perspective. As a Canadian (and living North of you-know-who), I can see the SNP's point of wanting their own flagship 6 o'clock news programme which would focus on the world from a Scottish perspective. Unlike Canada, however, Scotland isn't a completely separate country (yet?). However, this argument is eerily similar to the ol' English Canadian media versus French Quebecois media debate. Quebec has a more vibrant (successful?) entertainment industry than the rest of Canada; Quebecois TV has hit shows and a major star system (Roy Dupuis? Yum!) that the rest of English Canada doesn't have - although it is getting better from even just 5 years ago. Although some people may argue that it is simply a language issue, I think it's also the fact that Quebec TV broadcasters simply produce loads more programmes than Anglo-Canadian ones. And they can do so because they have the budget. And they have the budget because they make a lot of shows. Partisan media be damned! I want inflammatory exposes on Neds and Still Game on my box 24-7!